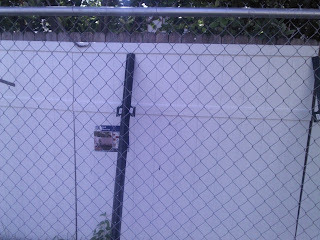 My Lupe can easily see movement on the other side of this fence. When the fence was newer, I suspect the gaps between the slats weren't as wide. I have several options to fix this. Any visual barrier would do - some plywood might be a cheap, easy option. But of course the wood could rot and draw parasites or it might be too insecure for stormy days. 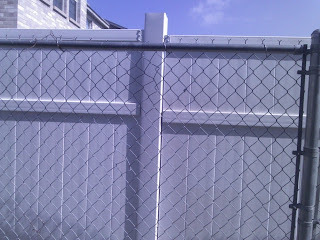 I've decided to go the more expensive and complicated route - brand new fence - one with very close slats. I didn't want to spend money for entire fence at one time. 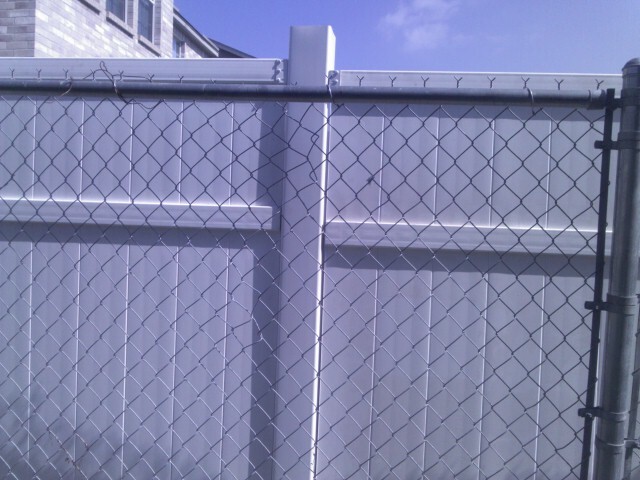 And I didn't want to inconvenience the neighbors by taking down our existing fence. So my new fence is going up in sections. 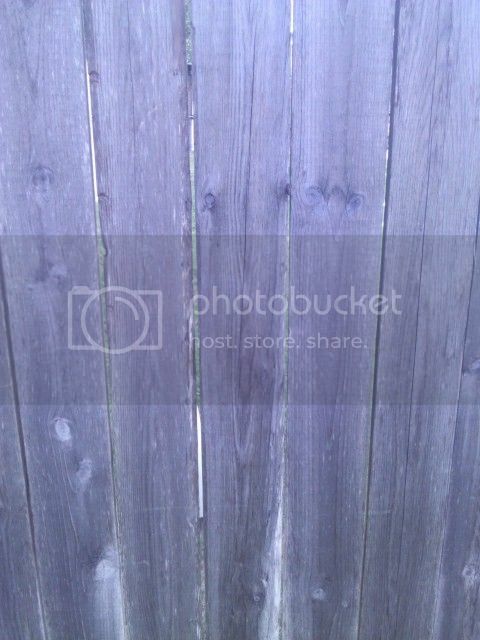 First I purchased some vinyl fence panels while they were on sale. I propped them against the existing wood fenced to set up a visual barrier, then started saving for the next phase. Next I hired some handy folks to install the fencing on one side - on the inside of my existing wood fence. Next month, I'll have the handy folks come back to install another section - until we are done. I still have my redundant fencing to keep my pets away from the fence and for an extra layer of protection.